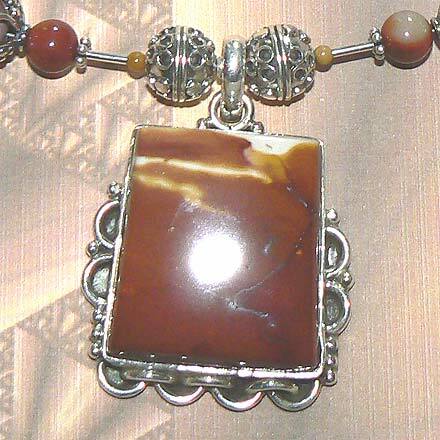 Sterling Silver Mookaite Necklace. See Closeup. 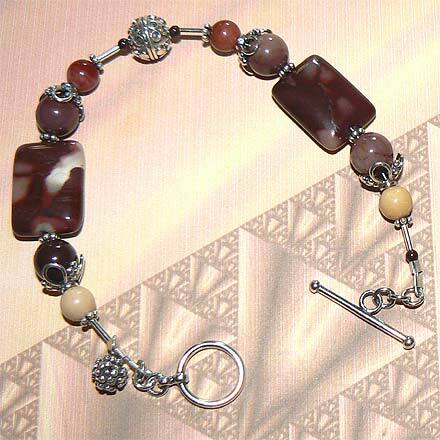 Mookaite comes in so many colors, especially those one associates with Fall and the harvest. 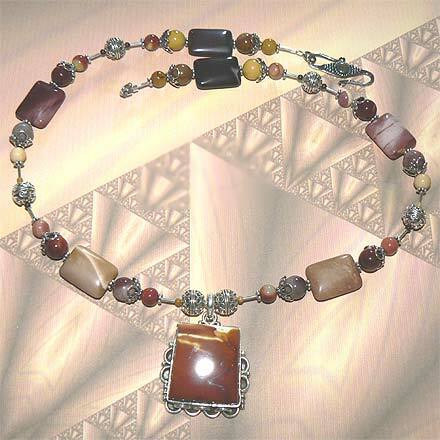 This necklace is 20.4" and has a 1¾" pendant. The matching bracelet is 7.7". For those who are interested in Astrological significances of stones, Mookaite corresponds with Virgo and Leo.